Does "failure to match" on Match Day mean out of luck for a residency this year? Home » Medical School » Does “failure to match” on Match Day mean I’m out of luck for a residency this year? Does “failure to match” on Match Day mean I’m out of luck for a residency this year? In 2018, Match Day was Friday, March 16! If you got a residency match on Match Day 2018, congrats! If it was the residency you were hoping for, double congrats! Especially if you’re in a competitive specialty like radiation oncology, orthopedic surgery, plastic surgery, neurological surgery, radiation oncology or otolaryngology and snagged a match with your specialty, you’ve already beat the odds! A total of 37,103 first and second year applicants were successfully matched, with 279 more seniors matched than in 2017. The PGY-1 match rate for seniors was 94.3%, compared to a typical 92-95% past rate in years past. So how does the National Residency Match Program work? So, let’s just review the process. You and thousands of other medical school seniors applied, then interviewed with the programs where you wanted to go, then—along with the schools—submitted secret rank-order lists to the National Resident Matching Program, and the NRMP computer generated thousands of matches. By participating in the process, you—along with the schools you applied to—agreed to accept whatever match the all-knowing computer generated. You may not have gotten the exact match you wanted. If you did get a match, however, you are obligated to accept—as is the school. On the other hand, you may be one of many who didn’t get a match. From all accounts, there were plenty of students who were turned away this year, but the fact is, there were 37,103 applicants this year. At the end of the match and follow-up SOP process, 213 students were left without a match—an all time high 99.4% total match rate. What if I didn’t get matched? This year, around 80 percent of all U.S. seniors matched to one of their three top choices. But by now the time has already passed for the Supplemental Offer and Acceptance Program (SOAP) for students who didn’t match on the first try. Those who weren’t matched by the NRMP computer were notified before Match Day and could still contact schools until March 14 through the SOAP program, to compete for a limited number of openings. All of those matches were also finalized by Match Day. So now what? You have your medical degree, but it won’t do you any good without a residency to go along with it!! It does seem twisted to go all the way through med school, with all that entails, and then graduate only to be told you can’t finish the process. And the reality is that there are plenty of students from international schools that are selected over those attending U.S. schools, so you can’t really game the process to create any level of certainty. 1. Your USMLE Step 1 and Step 2 scores need to show you’ve got a handle on the material you studied during medical school (plus Step 3 if you attended a foreign school anywhere but the U.S. and Canada), and in the case of DOs, your scores on either the USMLE or the COMLEX exam. 2. Did you do well academically during medical school? If not, you won’t be pulled from the bottom of the barrel when there are plenty of applicants who sweat their guts out to make the grade. 3. Which medical school did you attend? Obviously, some of the more well-respected schools can give your application a boost. Which is to say, you need to bring lots to the table if you are attending a little-known school. On the bright side, a majority of students at little-known (even unknown) schools do get into residencies. 4. Did you attempt a “suicide match,” which means ranking only one program so as not to risk going anywhere but your first choice? This is obviously a bad strategy! 5. Are you trying for a competitive specialty (see the list above)? If so, your chances start out lower, unless every part of your application shines. 6. 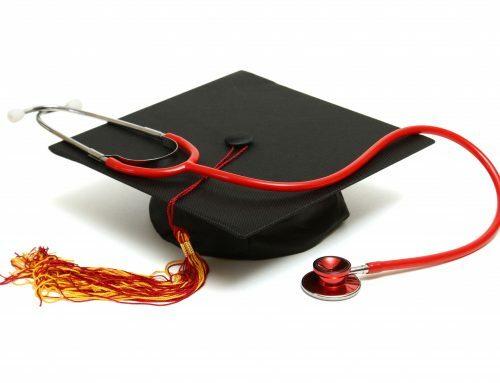 Did you attend a foreign medical school? This may affect your chances. The pass rate for students who attended a foreign medical school for their first time taking the USMLE is around 73%, while graduates of M.D. programs pass 94% of the time. 7. How did your interview go? Do you have good communications skills? This is a pretty critical factor in getting onto someone’s rank-order list. How can I improve my chances of a residency match next year? Look yourself in the mirror. Take stock of where you are and where you’ve been. Do an honest assessment of why you think you didn’t match. Look closely at your resume/CV. Have a mentor do the same. Figure out what’s missing, and where it can be improved. If you got a low score on the USMLE, take it again, but if you do, you’d better be prepared to boost your score. The number of attempts you make and the score you get each time will show on your application. Get some solid clinical experience while you wait. Examine your experience in rotations. Are there things you could have done better? Can you go back and nurture some of the relationships made during those experiences? Choose carefully who writes your letters of recommendation. Most important, you need to be able to demonstrate that you’re worthy of the kind of letter you want written. Set some clear-cut goals for the year ahead. Do this immediately. Be specific. Focus on your areas of greatest need. Get a new-and-improved packet ready as soon as possible. (See recommendations above.) If something opens up somewhere, you will be ready to re-introduce your new, improved self. Apply broadly, including schools/hospitals you didn’t consider the first time around. Check out the match rates for different specialties, and if you’re open to choosing a new specialty, do it—it could greatly increase your chances the second time around. The good news is that with a changing health care system, and a greater demand for new physicians, legislation being considered by Congress would push the numbers of physicians being trained up by 15,000 in five years. This could benefit some of today’s unmatched grads. Its name suggests the urgency of the task ahead. However, the timeframe and specifics of the legislation won’t be known until its passage. It has died in several different Congresses. This year there were 30,232 positions, an all-time high, and 1,383 more than in 2017. In the past several years, thousands of positions were added, with more in Internal Medicine and Family Medicine than in other specialties. What exactly does a resident do, and what’s a typical resident’s salary? Can I still get into a residency program if I don’t go to a top-tier medical school? How do I pay for medical school? What can I do to reduce my debt? Editor, writer, consultant, with special emphasis on education and nonprofit industries. I've helped many a pre-med through the treacherous waters on their way to their ultimate destination of MD. I have three awesome kids (one in med school) and a sweet hubby who supports all my efforts!